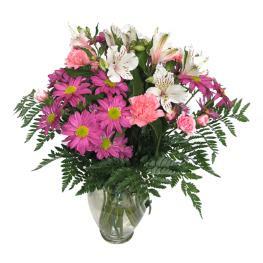 Make her blush with this pretty bouquet of fresh pink, white, green and lavender flowers. 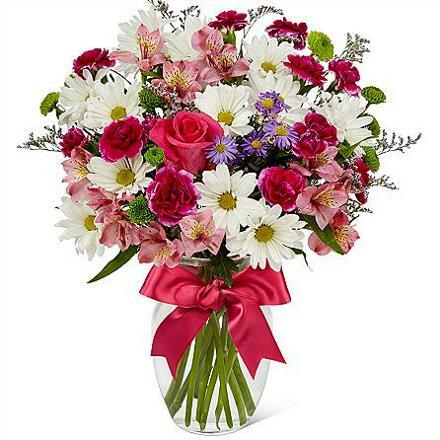 Pink roses, white daisies, mini-carnations, green mini-poms, lavender limonium and monte casino asters are arranged in a glass vase accented with a hot pink satin bow. 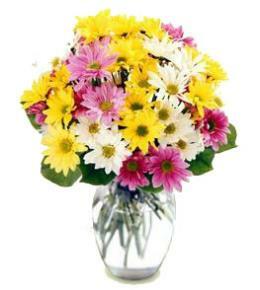 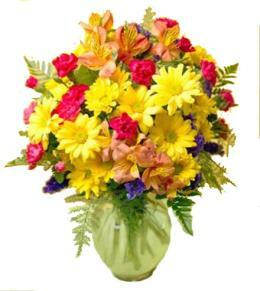 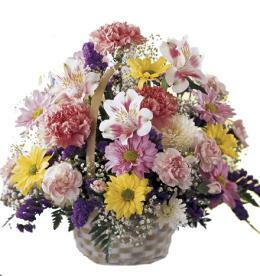 With this bouquet, delight is easy and perfectly priced for the special occasion. 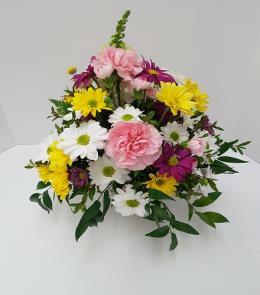 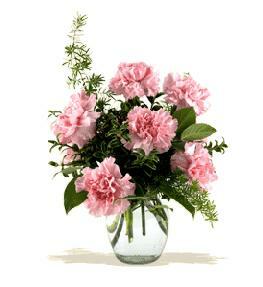 Flowers Perfect for Any Occasion - Full Blush Bouquet with Vase.